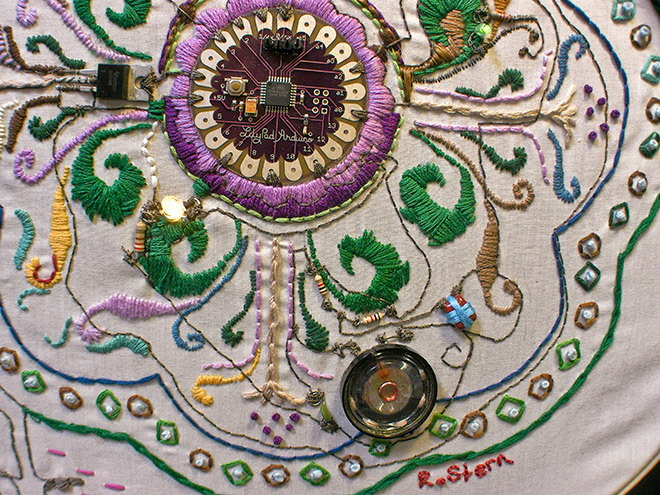 The Open Source Embroidery exhibition is now open at Umeå University’s Bildmuseet. After the show is over there, it’ll be traveling to the Museum of Craft and Folk Art in San Francisco (October 2009). Wired.com interviewed me in an article about the exhibit and movement. I saw the exhibition yesterday, i liked it alot, but they were closing so I didn’t have time to see and read everything, for example I only saw part of the ada documentary, but maybe I can find it somewhere on the net.